Ashwagandha, also commonly known as Indian ginseng, is a shrub-like plant from the nightshade family. However, unlike many nightshade plants, ashwagandha doesn’t hold the poisonous properties that the nightshade family is known for. On the contrary, the root of this plant has been utilized for thousands of years for a variety of beneficial healing purposes. This plant, specifically its roots, has been used for over 3,000 years for the healing abilities that it has to offer. Similar to ginseng, ashwagandha tea is also used to stabilize and increase energy but its useful abilities are far from ending there. There are many other valuable benefits that come out of drinking this particular tea as well, but here are a few of the most important ones. Ashwagandha tea is helpful in relieving stress and aiding sleep for those suffering from nervous tension due to its calming sedative effects on the body. Unlike other energizing drinks, ashwagandha tea doesn’t contain any stimulants. So if you’re lacking sleep due to stress, drinking it can actually get you get a good night’s rest since it calms the mind and body. Aside from aiding those suffering from stress and lack of sleep, it has been reported that drinking ashwagandha tea also can help improve cognitive retention as well. This is because it helps to clear the mind and allow room for more focus. The reason behind this, according to studies, is that ashwagandha has a way of helping the brain to better use the chemical acetylcholine, which is what works to transmit messages between nerves cells in the brain. The most prominent benefit of this tea is that it can help energize the body in a way that is calming. Ashwagandha tea doesn’t have the negative effects of most other energy increasing teas and drinks. This is because it doesn’t contain any of the stimulants that cause adverse effects like energy crash. This herbal remedy is also completely natural, which is why it comes without the negative effects of other things that are used for boosting energy. Directions: To prepare ashwagandha tea, take one tea bag and allow it to steep in a cup of hot water for a period of five to ten minutes. Once the desired strength of tea is reached, sugar, honey, or milk can be added to the brew for additional flavoring if preferred. Ashwagandha tea should not be taken by women who are pregnant or nursing without consulting with a health practitioner prior to adding this herbal remedy to their diet. Drink this tea 2 to 3 times a day, regularly or whenever desired. Drinking this tea is far more beneficial than relying on sugar-filled energy drinks, or other unnatural methods that deal with loss of energy. However, when considering this tea, it is advisable to not drink it for extended periods at a time. There are many places where you can buy Ashwagandha tea. Larger cities around the country usually have at least one health food store that sells hundreds of alternatives to prescription medications, healthy foods, and herbal supplements for a variety of health problems, or to use to prevent problems from occurring in the first place. At stores such as this, there is always a wide array of herbal teas. 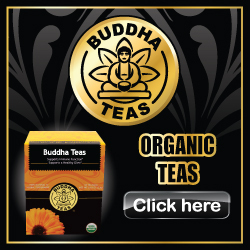 For this reason it is fairly easy to find ashwagandha tea for sale in health food stores or from online merchants like Buddha Teas. Take note that you should always buy your teas from reliable merchants who will ship your orders promptly and answer any questions you may hold about herbs and teas that are unfamiliar to you. Be sure to also contact your physician before consuming any teas if you are unfamiliar with to be assured you won’t experience any negative or allergic reactions. We sincerely hope that you have found this article to be beneficial and able to help answer any questions that you may have had regarding this tea. As always though, we invite you to contact us if you still have any lingering inquiries that we may be able to help you with.